Land Shark Bicycles was founded by John Slawta. He received a scholarship from the Pasadena School of Art and Design, but got sidetracked by his hobby, building bicycle frames in his parents’ backyard tool shed. Building bikes became serious business for Slawta and Land Shark in 1986 when he was asked to build several for a group of professional riders, including Andy Hampsten, Roy Knickman and Steve Hegg. Slawta responded by building what became some of the most sought-after bike frames available. A 1988 letter from Andy Hampsten, then riding in Belgium on one of Slawta’s bicycles, hangs on the wall in John’s Land Shark fabrication shop. “Thanks for the bitchin’ bike,” says Hampsten, who went on to win the Giro d’Italia riding his Land Shark. As Land Shark grew, John moved his shop from Los Angeles, CA to Medford, OR in 1991, and still continues building every Land Shark frame himself. Legor Cicli was founded by the framebuilder Mattia Paganotti. The company is located in Carrer Pere IV 29/35 in Barcelona. They produce handmade custom bicycles of any kind. Every Legor Cicli frame is made out of a master choice of special Columbus tubing. Fully bespoke and custom made, from geometry to paint job, and working closely with Enve and Chris King. Their slogan is “Handcrafted with love in Barcelona”. Liebo Kitchunsync. ppropriately named “kitchen sink”, it covers 5 types of bikes (disciplines) all in one! 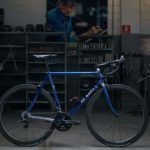 It is primarily a road bike that can be ridden recreationally or raced on, and has a standard road geometry when set up in its’ standard position. With some adjustments, it may be ridden as a cyclo-cross bike, a touring bike, gravel, city, singles speed, or even a fixed gear! 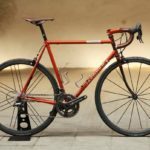 Liebo produces hand built custom steel and titanium bicycles. 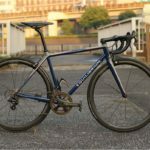 Life Bike is a custom bicycle maker located in Tokyo, Japan. 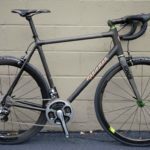 The company was founded by Darrell Llewellyn McCulloch, who has been working professionally full-time with bicycles since 1979 and based in Australia. They do accept international orders. Mr. Darrell Llewellyn participated in 15 domestic competitive seasons racing road and track, and two seasons of living and racing in France. This was followed by 6 full seasons working for the Australian Institute of Sport and the national road cycling team. This involvement with the national team involved working with the staff at the biomechanics and physiology departments at the Australian Institute of Sport. Working with the Australian Institute of Sport led him to build steel aerobars in this shape before carbon became fashionable. He also worked with the national team in 23 different countries and various races such as “Tour de L’Avenir” , “Le TOUR FEMININ”, World Cup races, as well as two Olympic games and six world Championships. Most recently he worked with the team during the 2009 season. Today he works each day building bike frames full-time, with the occasional moonlighting mechanic trips with the Australian National team. Llewellyn Custodian: -Single colour paint. -Customer’s name decals on the top tube (sealed under the clear coats). -Polished stainless steel Llewellyn dropouts front and rear. -Proprietary “Llewellyn Custodian” lug set (track frame includes rear Llewellyn track dropouts with replaceable stainless steel wheel facets). -Polished stainless steel front derailleur boss. -Polished stainless steel seat stay heart detail. -Polished stainless steel “QuickChanger” chain hanger. -Polished stainless steel head tube badge. -Curved or straight blade fork. -All investment cast fittings. -Internal tube protection. -Owners certificate. -Lifetime warranty on workmanship for the original owner. lov (acronym for love our valley) bikes is a custom bike company based in the Vail Valley, nestled in the Rocky Mountains, United States. 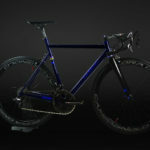 The company specializes in individualized, high-end carbon and custom-built steel frames.